Milk in The Hague | Milk is good for everyone, including Hagenaars. I grew up with the advertising slogan ‘Melk is goed voor elk’ (= Milk is good for everyone). Even today, I drink a good amount of milk and buttermilk. 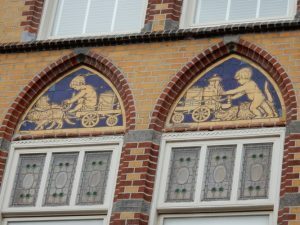 And cycling and walking through The Hague, I can observe interesting traces of what was once a flourishing dairy industry. For a long time the milk that people bought was of poor quality. It was skimmed or diluted with water and its cleanliness also left something to be desired. In the second half of the 19th century, people started to realize that the distribution and sale of milk had to be improved. 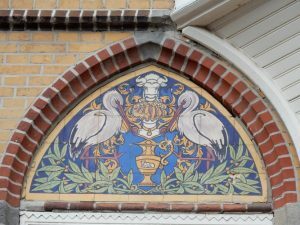 An important event was the establishment in 1878 of the ‘’s-Gravenhaagsche Melkinrichting’, which had as its goal ‘the sale of pure, unadulterated, unskimmed and undiluted milk’. In order to fulfil the promise of quality, this enterprise operated farms, dairies, shops and milk parlours. 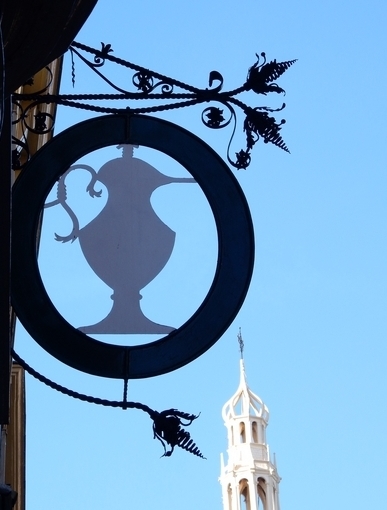 It came to be popularly known as ‘De Sierkan”, referring to the ornamental milk jug that was its “logo”. At the 50th anniversary there were more than 50 stores and kiosks in The Hague and surrounding communities. In the summer De Sierkan also operated three beach tents. Another dairy organisation arose because a number of farmers were not satisfied with the prices they received for their milk. They decided to start their own milking facility under the name ‘De Landbouw’ (= the agriculture). 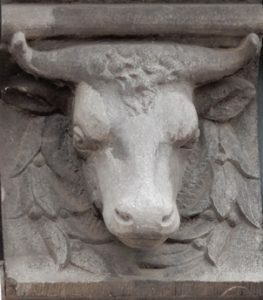 They built a factory with a shop and a milk parlour and soon had branches at several locations in The Hague. A milk parlour was a place with tables and chairs where customers could enjoy fresh milk and other dairy products. 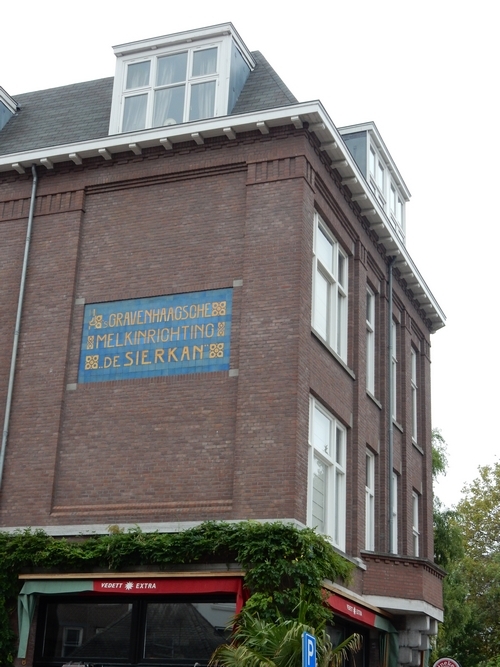 In 1899 Hendrik van Grieken, a farmer’s son from Mijdrecht, started a milk trade in the Schilderswijk. This district was then under construction, so the number of customers was growing. 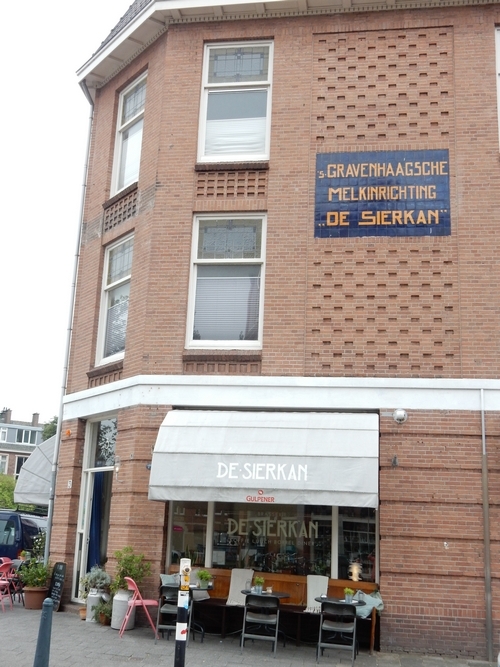 Van Grieken also started supplying other milk merchants. 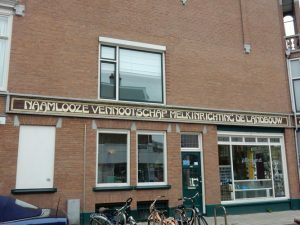 In 1937 a larger building was needed and the company, which was now a complete dairy factory, moved to Loosduinseweg. 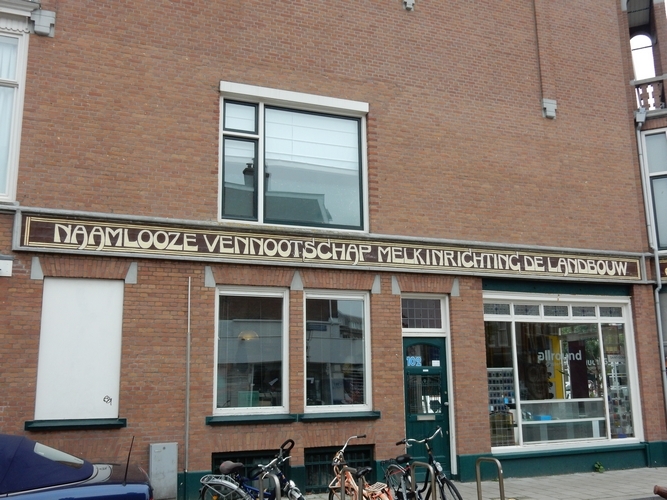 The customers were tempted with the sales slogan ‘Voor gezonden en zieken, melk van Van Grieken’ (= For the healthy and the sick, milk from Van Grieken). In the 1930s, research showed that children who received milk at school were sick less often, were better able to concentrate, could learn better and grew taller. Children of The Hague received milk at school for the first time in 1941. Since it was wartime, this extra food was received very well. 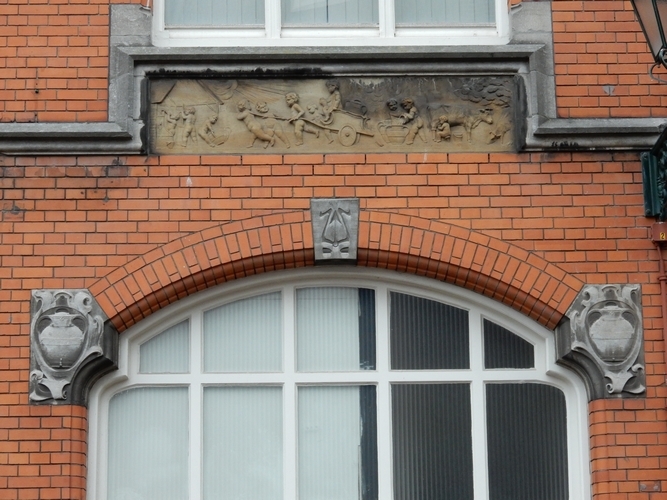 However, at least in the beginning, not all schools had a refrigerator; thus several generations of Hagenaars are still haunted by memories of the lukewarm milk they had to drink. 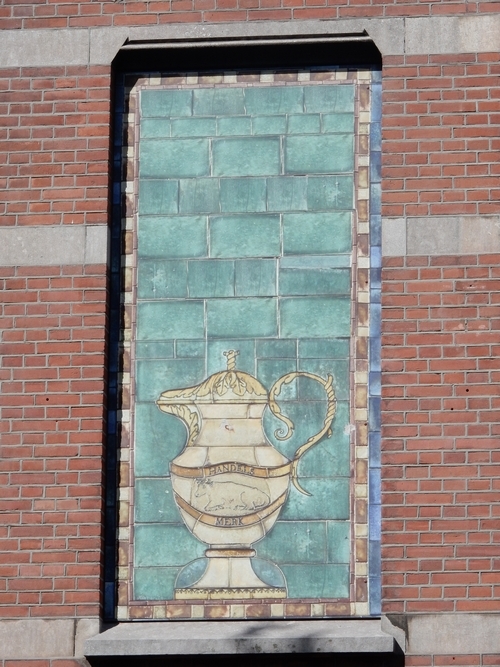 Due to a series of mergers, the dairy companies in The Hague as such no longer exist. 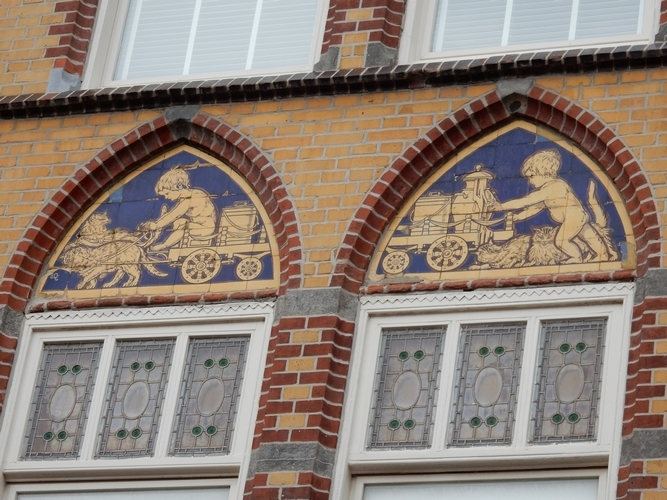 But we can still, on foot or by bike, find some nice details of their presence in The Hague. Interested in the next posts?